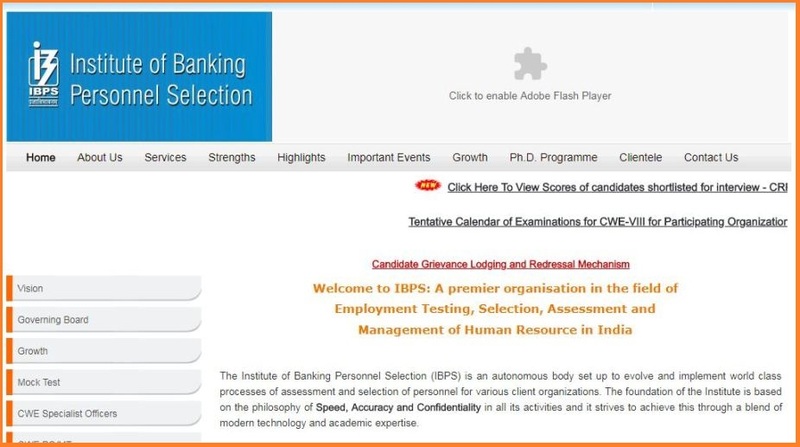 The scores of the candidates who qualified for the CRP SPL VII specialist officers’ interview conducted by the Institute of Banking Personnel Selection (IBPS) was released online on the official website. The IBPS SO 2018 scores for the Common Recruitment Process (CRP) were released on 22 March and will be available till 31 March. All candidates can check their scores at the official website – ibps.in. There were two examinations before the interview. The online examination (Preliminary) was held on 30 and 31 December 2017. The main examination was conducted on 28 January this year. The interview will be of total 100 marks.